Deep, low, comfortable lounge chairs. 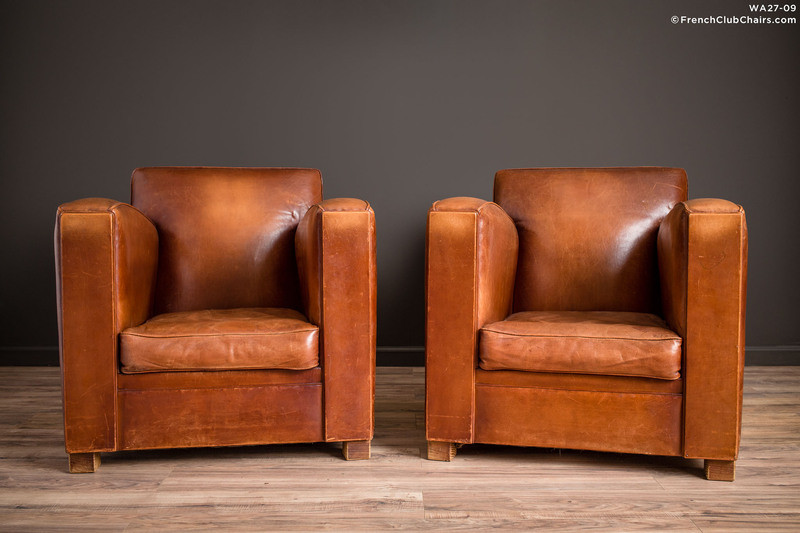 This pair of French leather club chairs were built in the mid 1960s. They are one of the largest pair of chairs we've had in a long time. The all original leather in in excellent condition. measurements: depth-40", width-34", height-34", seat depth-23", seat width-19", seat height-15"